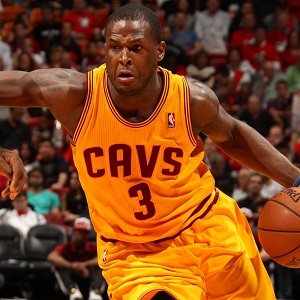 Five days and several plot twists have happened since the Dion Waiters national anthem story first broke last Friday. In case you missed it: Waiters, a third-year guard with the NBA’s Cleveland Cavaliers, was not standing with his teammates last Wednesday in Utah during the traditional pre-game playing of “The Star-Spangled Banner.” Two days later, in Denver, Waiters was on the court standing for the anthem. But at around the same time the Cavs were tipping off against the Nuggets that night, Northeast Ohio Media Group reporter Chris Haynes released an article in which Waiters was quoted saying he’d skipped the anthem on Wednesday for religious reasons. Haynes wrote that Waiters was rededicating himself to his Islamic faith, and that he planned to continue skipping the anthem. The article ignited a heated backlash against Waiters (and against Islam) online and on social media, recalling memories of Mahmoud Abdul-Rauf, the former Nuggets point guard whose faith-based refusal to stand for the anthem in 1996 drew a league suspension and essentially ended his NBA career prematurely. But the following day, Waiters went on Twitter and denied most of Haynes’ article. Haynes went on Twitter and stood by his reporting. Hours later, Haynes published a follow-up story after talking to Waiters, with both men acknowledging a miscommunication had occurred and confirming that Wednesday was a one-time incident and Waiters did not plan to keep skipping the anthem. The next day Waiters addressed the media again, repeating in greater detail that he did not sit out the anthem for religious reasons, and that it was simply a case of him losing track of time in the locker room during his usual pre-game routine. What we do know right now that we didn’t know a week ago is that Waiters is a Muslim, Alhamdulilah. And due to his status as a key contributor on LeBron James‘ team, Waiters is probably the most visible Muslim in the NBA, alongside Nuggets forward Kenneth Faried. The cases of both Waiters and Abdul-Raouf (sic) raise a question that USA Today sports reporter Micah Peters didn’t ask, nor did Ohioan Chris Haynes: are there any tenets in Islam that would preclude an observant Muslim from participating in a patriotic ritual, such as standing for a national anthem or saying a pledge of allegiance? “When this came up in 1996, we consulted with Islamic scholars, who said there was no prohibition” of patriotic rituals in the religion, Ibrahim Hooper, national communications director for the Council on American-Islamic Relations, or CAIR, said from Washington. Another question resulting from the national coverage is why the reporters involved apparently didn’t seek out an opinion from any sort of Islamic expert, such as an imam. Neither Peters nor Haynes responded to inquiries about their reporting. It is interesting that so many people who clearly haven’t researched just assume that because of the Waiters and Abdul-Rauf stories that Islam does teach Muslims to not stand for the national anthem and not salute the American flag. It falls right in line with the stereotype that all Muslims, even Muslim Americans, either secretly or openly dislike America and what the country stands for. But no one seems to bring up that even if Waiters and Abdul-Rauf did indeed skip the anthem for religious reasons, high-profile Muslim athletes like NBA legends Kareem Abdul-Jabbar and Hakeem Olajuwon and NFL brothers Husain Abdullah and Hamza Abdullah stood for the anthem without incident for their entire careers. It comes across like another example of people allowing their ignorance of Islam and its principles to let them conveniently assume the worst (as they define it) about the religion. Look at this way: Most Americans know enough about Christianity to know that stealing isn’t approved by the religion. So if someone who was caught stealing cited their Christian faith as the reason why they stole, I’m sure the media wouldn’t take the thief’s citation of religion as a credible truth. That said, there is actual debate among the Muslim community on whether Islam allows standing for national anthems and saluting national flags. In my column on Waiters for MuslimMatters.org, I presented two sides: One scholarly opinion that says Muslims who stand for an anthem or salute a flag are performing an act that is haram, and one that says it’s OK to perform such acts of patriotism. But as Kellner’s article points out, no mainstream media outlets who initially covered the Waiters story bothered to ask about Islam’s official stance. As of Tuesday night, the Waiters controversy appeared to be downgraded to a mere misunderstanding. Waiters and the Cavs play their next game this Friday in Boston, and the reaction Waiters gets from the road crowd could be a good indicator of how the public has digested the events of the last week.